If you’re a woman between 45 and 55 and you know your health isn’t where it should be, you’re in the right place. My intention is simple. I want to help you feel better, whether you’re suffering from menopausal or other hormonal challenges, brain fog, fatigue, digestive issues, migraine or depression. 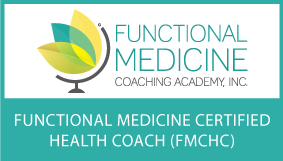 As a Registered Nutritional Therapist and the UK’s first Functional Medicine Certified Health Coach, I took a long circuitous route to get here. As a child, one of my favourite books was, “Tell Me Why,” and I wanted to be a doctor. I read my aunt’s midwifery book when I was nine, because I found it fascinating. Every year, when I was asked by my teachers what I wanted to be when I grew up, my answer was always the same. “A doctor.” But life took me down a different path, and I ended up qualifying as a chartered accountant and then worked in finance within investment banking. Fast forward to many years later, I made a career change to executive and corporate coaching, but something felt missing. In the meantime, I’d battled with my own body issues, read most diet books and did virtually all of them, damaging my metabolism as a result. Suffering from weight loss resistance, and now also menopause (brain fog, unclear thinking, lack of energy, poor sleep, hot flushes and night sweats), I stumbled across a couple of books that talked about the biochemistry of food. This was the “tell me why” and the “behind the scenes” that I needed. It threw open the doors to my passion, and that is how I came to complete my 4-year clinical Diploma in Nutritional Therapy with distinction, and am now writing my dissertation to gain the degree, which I started when I was 51. I know what it’s like to not feel like yourself, to know that something’s not right, and that things are not working as they should be, but not knowing what or if anything can be done about it. I remember being at my desk in the office, having a discussion with a small group, about some regulatory issue (I had gone back into investment banking for a few years before I started my degree). Someone asked a question, and I knew that I knew the answer, but my brain just wasn’t firing. My 30-year old colleague? She literally took the words that were stuck between my brain and my mouth and said them out loud in a split second flat. I had been like that too. What had happened? I’ve since come to discover that many women, especially professional women in corporate roles, feel this way too. The brain fog, the fatigue, the inner anxiety and angst – they don’t feel able to talk openly about it, and truth be told, I didn’t even want to admit it in the first place. I’m here to tell you that you don’t have to feel this way. The many symptoms that we are told are down to aging and getting older may have been accepted as “normal,” but that’s only because we’ve had a lack of understanding of what’s going on behind the food. You don’t have to feel tired, hungry or depressed, nor do you have to feel moody, live with a foggy brain or constantly fight incessant cravings and afternoon slumps. You deserve to know what’s happening hormonally inside of your body, why you may be suffering from imbalances, and what you can do. If you can relate to this and are ready to take action, I’d love to help you feel better. You’ve come to the right place. Welcome once again. I am glad that you are here. Behind The Food Nutrition is where health is more than the face value of just the food. It’s the nutrition in the food, and also what’s behind it – the impact that food has in your body “behind the scenes.” For example, did you know that every bite of food that you eat sends information to your body? It tells your body whether the environment is harsh or unfriendly, it tells it whether it needs to store fat, or whether it’s safe to have a baby. I know baby-making years may be behind you now, but you may not have recognised that in the past. In addition to carrying information, food also has other roles. It is connection, and medicine, and perhaps the most obvious of all, it is energy. But that’s not all there is. Behind The Food Nutrition is also about what else nourishes you – your family and relationships, what brings you joy, your community, your spirituality, your lifestyle. Every facet feeds into the totality of your life, and how good you feel. And that is the essence of Functional or Lifestyle Medicine. 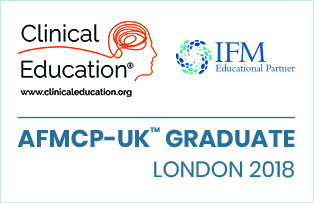 I graduated the 4-year clinical Diploma in Nutritional Therapy with distinction from BCNH College of Nutrition and Health, and I have also proudly completed the Institute of Functional Medicine’s Applying Functional Medicine in Clinical Practice™ (AFMCP-UK) course and am nearly there with my dissertation for my degree. I am also thrilled to now be a tutor for students who are in their second year of studying for their nutritional therapy diploma. 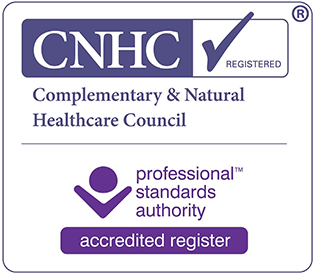 I am a registered Nutritional Therapist on the accredited register of the Complementary and Natural Healthcare Council (CNHC) regulated by the Professional Standards Authority of the United Kingdom. I am also a member of the British Association for Nutrition and Lifestyle Medicine (BANT) and am fully insured to practise in the UK. 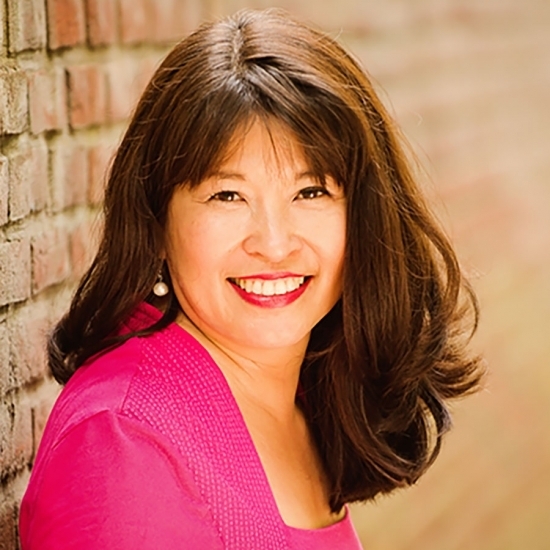 Over the years, I also trained in several coach trainings, including Eating Psychology, neuro-linguistic programming (NLP), Coach U, Association of Meta-Coaching and Coaching From Spirit. After my professional qualifications in chartered accountancy and my MBA, I thought that I was done with formal training. But I was wrong, and gladly so, because it’s melted away the years of searching for what I now feel is my “zone of genius”. Because I love this area with a passion previously unknown to me, I continue to pursue ongoing training as if there is no tomorrow, not to mention the abyss of reading research literature and other texts which I thankfully love, and all of which help me to increase my expertise and keep up to date with the ever-increasing scientific research in this field.